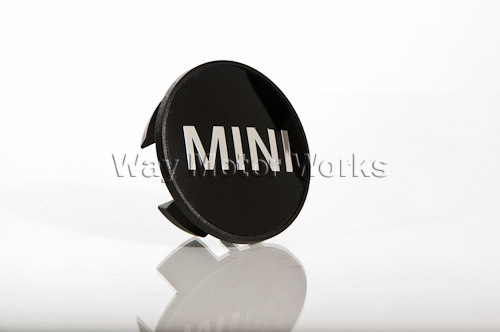 OEM MINI Wheel center cap. This is the small plastic pop in center cap with the MINI logo on it. This cap was most common on 17 inch wheels, but did come on some 15 inch, and 18 inch wheels.